Offering a convenient location near Bermudez Industrial Park and only moments from the United States-Mexico border, this hotel features comfortable accommodations and a free hot breakfast. Historic streets, 19th century buildings and numerous museums are located a short distance from the Hampton Inn Ciudad Juarez. The American Consulate as well as restaurants and shopping areas are also only minutes away. With free high-speed internet access and an outdoor pool, every stay at the Ciudad Juarez Hampton Inn is sure to be pleasant. Guests can also take advantage of the on-site fitness centre, in-room coffee makers and the modern business centre. 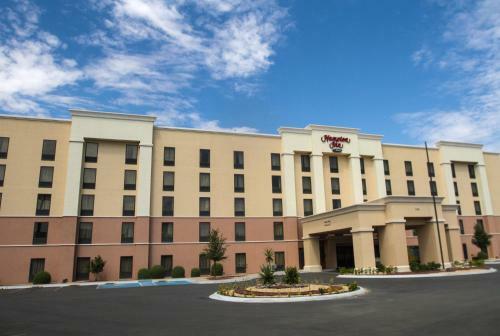 the hotel Hampton Inn Ciudad Juarez so we can give you detailed rates for the rooms in the desired period.